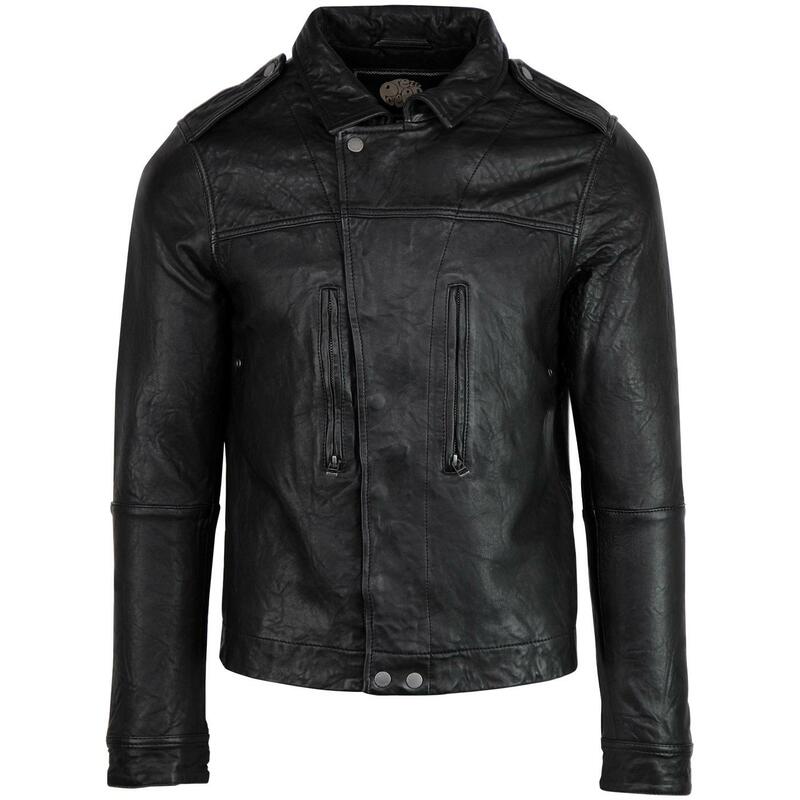 Pretty Green 'Addison' Men's Retro 1970s style Leather Biker Jacket in dark navy. A style favoured by many an Indie icon, including Liam Gallagher himself. 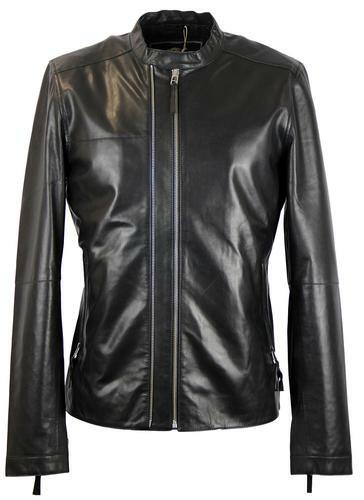 Packed with classic Biker jacket details including a fab stand racer collar with press stud closure. Distinctive double zip feature, two Zip Front slant zip pockets, and zip cuffs with leather tassels all add to the rock and roll aura. Cool Leather panel construction adds an extra Indie edge. The stunning luxe jacquard paisley lining enhances the Retro style and provides that all essential Indie rock and roll kick! 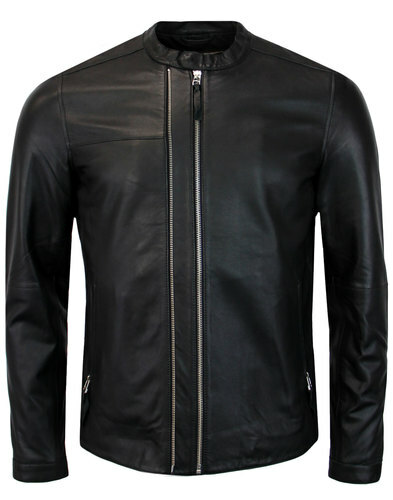 - Pretty Green 'Addison' Leather biker jacket in navy. - Double zip up feature. - Two frontal zip up pockets. 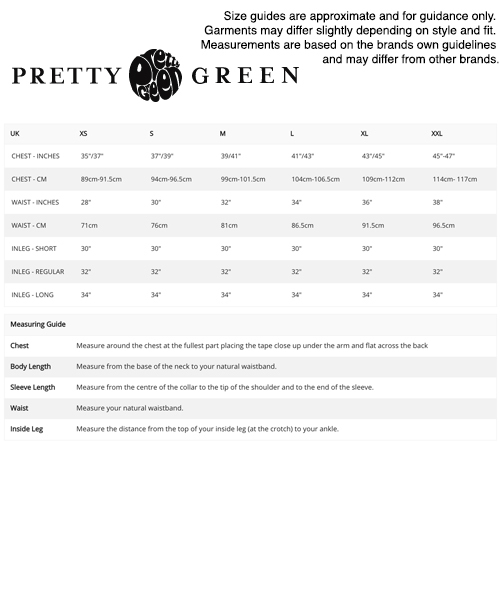 - Stand racer collar with press stud fasten. 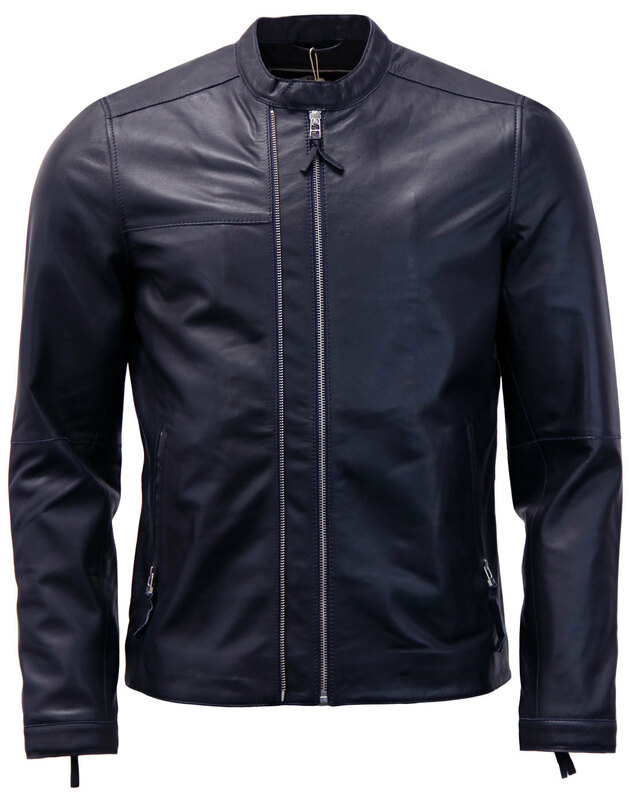 - SKU: CLXG/4108/7838 Addison leather jacket.